Brené Brown’s perspective on human interaction and how to live wholeheartedly in relationship with others is so encouraging. She is a master at framing things like failure, shame, regret, and feelings of not being ‘enough’ in a way that is honest and healthy. These are natural feelings but can be harmful unless we reckon with them and are curious about why they happen and why we react the way we do sometimes. To love is to be vulnerable. Sometimes the hardest one to love is yourself. Rising strong from times when we feel we have failed is critical in forging a healthy self-concept. Perfection is an unrealistic bar set way too high. Brown is both scientist and social scientist, highly professional and well researched. She offers much more than self-help formula. 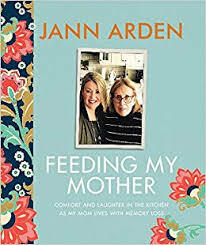 In her books she combines research and storytelling to share useful knowledge about human behaviour based on real life examples and experiences. To be honest, I found Daring Greatly and The Gifts of Imperfection to be more helpful than this one, but I soundly recommend this author and her many wonderful TED talks as well. Here are a few to get you started. Brené Brown simply tells it like it is. She doesn’t write books that make promises about how you can easily improve or change your life. She says she herself has developed a fairly sensitive “bullsh*t meter” when it comes to self-help books, and this is not a self-help book. She is brutally honest about her own struggles and failures. Brown (PH.D, LMSW) is a well respected researcher and storyteller. Her insights into shame, authenticity, and belonging have been groundbreaking and are hugely encouraging. 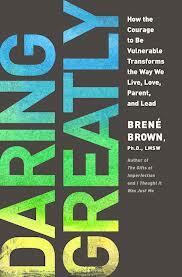 Another book of hers called Daring Greatly, is about having the courage to be vulnerable. 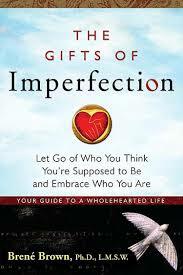 This is an excellent guide to wholehearted living. This kind of book is so important in a world where we never seem to measure up to the ideals in the media or the impossible standards we set for ourselves. This is a powerful and important book. In a simple, straightforward anecdotal style (she calls herself a storyteller), Brené Brown Ph.D. LMSW, shares findings from twelve years of pioneering research on the experience of the uncertainty, risks, and emotional exposure that define what it means to be vulnerable. Her findings were surprising, even to herself. Brown dispels the cultural myth that vulnerability is weakness and argues that it is our most accurate measure of courage. Vulnerability is at the core of difficult emotions like fear, grief, and disappointment, but also the birthplace of love, belonging, joy, empathy, innovation, and creativity. The sub-title of this book says it all. By taking the courage to be vulnerable we can transform the way we live, love, parent and lead. Daring greatly by ‘putting ourselves out there’, is essential to wholehearted living and a sense of self worth. But it can be risky, messy and uncomfortable at first. In her TED talks, Brown shares the personal struggles she had to endure, as she grappled with the truth in her research findings. What she discovered is that by acknowledging fear and by having the courage to be vulnerable, we unleash our creativity and become able to share the unique gifts and contributions that only we can make. She has written a few other books which also look good, although I have not read them. Here is a link to two 20 minute TED talk videos which would serve to introduce or supplement the message of her book. The link is part of her website where you can also see the titles of her other works.